Anna Azrieli is a Russian born, NYC bred, dancer/ choreographer/dance artist/yoga teacher. She holds a BFA in Dance from NYU's Tisch School of the Arts. 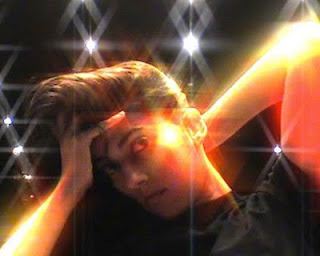 She has been active in the New York dance and contemporary performance world for fifteen years. She is a founding member of Miguel Gutierrez & the Powerful People, working with the group 2001-2011. She has performed in the work of Wendy Perron, Fred Darsow, Freefall, Erin Cornell, Donna Uchizono, Sam Kim, luciana achugar, Maya Ciarrocchi, and Clarinda Mac Low, among others. She has made collaborative work with Abby Crain & Samuael Topiary, Pascale Wettstein, and Marin Sander-Holzman. Her own work has been presented by Dixon Place, Danspace Project, Catch, Open Source Gallery, Aunts, Ulla’s Salon, Movement Research at the Judson Church, Roulette, Movement Research Festival Spring 2012, and Chez Bushwick. She was a Movement Research Artist in Residence 2010-2012. She is participating in The Kitchen's Dance and Process series in the Spring of 2013. I have one child, aged 6. I had danced with a few choreographers on a freelance basis for 10 years and had been working steadily with Miguel Gutierrez and the Powerful People for 6 years. I had performed with one or another artist at most of the downtown NYC dance venues. With Miguel we were touring nationally and internationally. I’d say I was in the middle of my prime dancing years. I had not started to make my own work yet. How did you plan to combine working and parenting? How did the reality turn out? In retrospect I didn’t have much of a plan, I didn’t know what I was getting into. And that’s pretty much how it turned out. I was completely thrown by the combination of parenting and working. It was difficult for a long time. Art making and parenting are opposites, parenting is responsibility to another, art making is responsibility to yourself. I started to make my own work as a result of becoming a parent, both from a pragmatic sense where I could make my own schedule, and from an artistic sense where the need arose in me to create from my own perspective and desire. I didn’t have the time, or financial means, to be in others’ work, as I had for my entire career. When you have to pay a babysitter more than you get paid for rehearsal or on tour, its not feasible. Its starting to be more possible again though as my child gets older and has school and activities I don’t need to be present for. 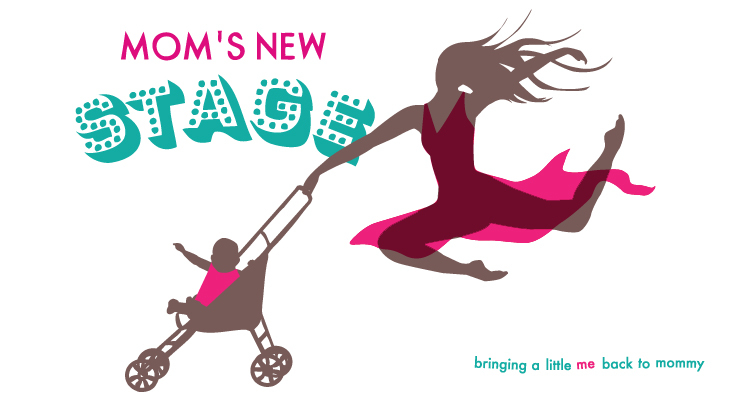 You recently participated in a panel about motherhood and the professional dance world. How did this come to be? What were some of the findings? There have been a few panels on the subject of parenthood and dance in the last few years in New York. I organized one and was on another. There are not many people left standing in the experimental dance and performance scene once they either get older or have kids, its easier for the young and unencumbered to do art for little money. When I had a kid I felt like I was in it alone within my subset of the dance scene and so I had an urge to reach out to find and build community. At first I’d go up to dance people whose kids are grown and grill them on their experience. I had a real thirst to know and feel a part of the history of doing dancing and parenting at the same time. I think more and more dance artists are feeling the need for this connection too and so these events and panels are getting organized around the subject. Findings, hmm - that its hard! No, but ultimately, simply coming together around the subject has a both soothing and energizing effect on all of us I believe. Knowing others that are going through the same experience as you is a deeply human need. To many, the question of raising children in NYC is answered with a big, fat, red “NO!” Why is it a yes for you? Well, I grew up here, have close family here, made a dance career here, am making a choreographic career here. And we have a kid who is into performance and art just like both parents. We also hit the jackpot and got into a good public school. And I can barely drive! I don’t think I can make it anywhere else! A parenting issue or event you would write an SNL sketch about? This would be for one of those fake commercials SNL makes. Picture it, a kid, around age 3, guests milling about the house, yells, “Ladies and Gentlemen! Announcing Poo Poo!”, and runs to the bathroom, the camera zooms in, the child is on the potty, reading a New Yorker. Yep this all happened, though in two separate incidents. Your parenting style in 5 words or less. 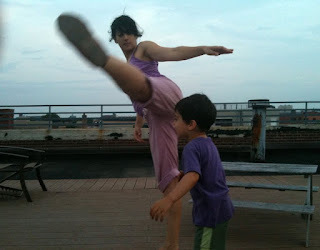 Advice to women wondering how to be dance artist and mommy at the same time? You can do it! Its been done before. Talk about it to other dancers. Make some friends who are doing it too. You are an artist and you can create your own version/vision of what it is to be both artist and parent. I love the last line: "You are an artist and you can create your own version/vision of what it is to be both artist and parent." This applies to everyone! It does doesn't it? Parenting is an art form unto itself.